This is the only truly all-in-one travel espresso maker that we have ever seen. Plug into your car and brew true espresso anywhere. 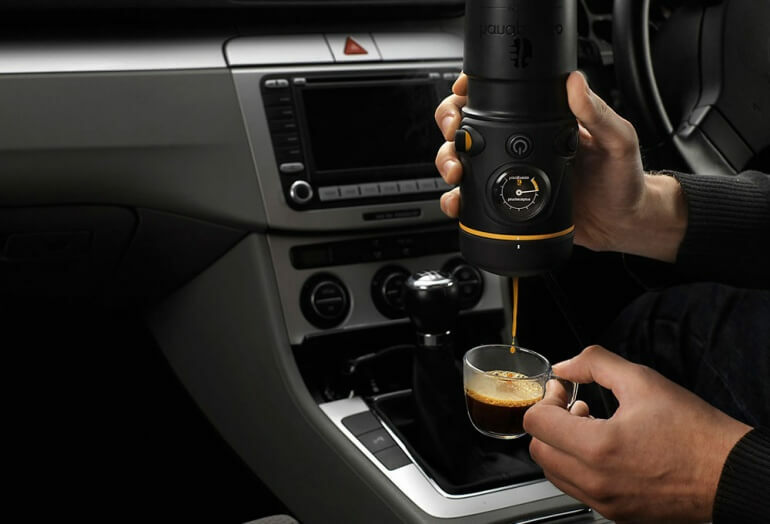 The Auto from Handpresso is an all-in-one portable machine designed to brew delicious, real espresso from your car or boat. 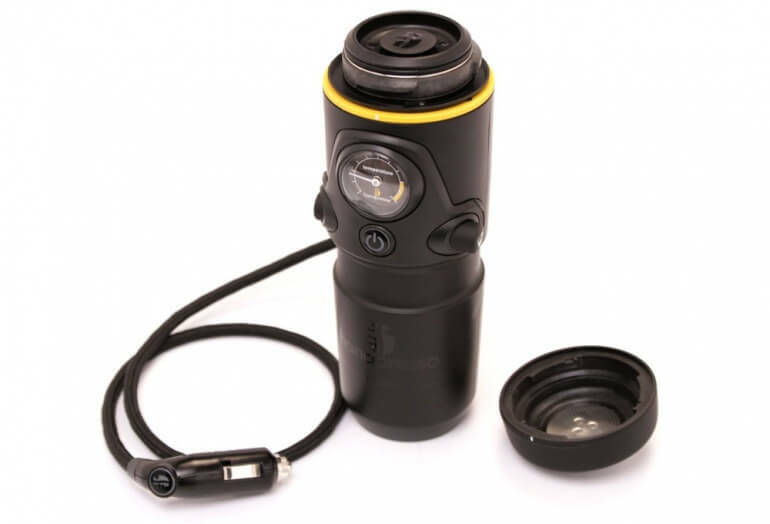 The unit is powered via your 12v cigarette lighter or through the optional wall adapter. The 16 bar pressure system takes less than 3 minutes to brew up to 50ml of espresso at a time. Measure water and add to the machine. Add a coffee pod or ground coffee to the ground holder. Press brew, wait 2.5 minutes. Dispense your espresso into your cup. We have reviewed many travel coffee and espresso makers, and there are very few that we actually consider to be an all-in-one solution. The Handpresso Auto truly is the only machine you need if you want to brew espresso on the go. Everything is contained right within the unit, no need to externally heat water. There are also wall power adapters available so although The only possible improvement to the machine would be the ability to power via battery - this would make the machine truly portable. Handpresso also makes a pump version and company MoJoe makes a similar coffee maker.